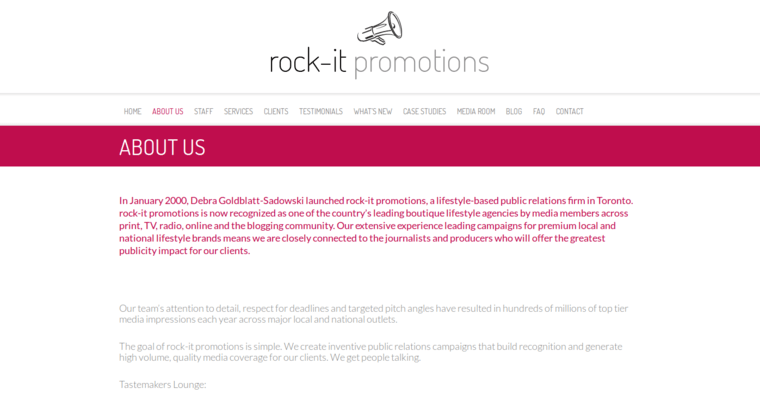 Rock-It Promotions built its reputation by crafting world-class public relations campaigns that attract attention. 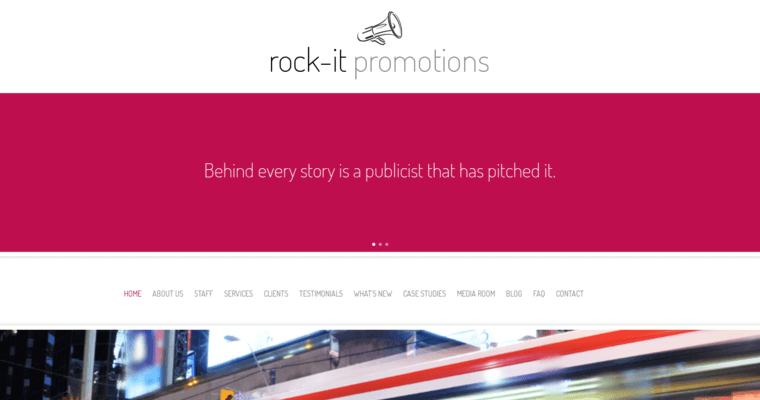 Using a robust network of industry insiders and media contacts, Rock-It generates maximum exposure for clients so that they get the brand recognition and market traction they deserve. The company excels in both digital and traditional PR styles and channels and offers a selection of additional services that make the firm a one-stop shop. For example, the firm provides media relations and event planning. As the Rock-It team executes a campaign, they can launch events, attract sponsors, recruit celebrity endorsements and facilitate product development. 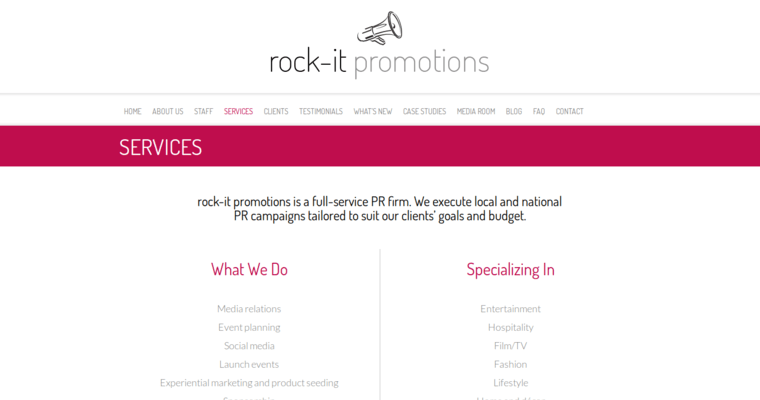 Rock-It serves clients in the industries that include entertainment, hospitality, fashion, lifestyle, beauty and non-profits. Regardless of whether a brand needs to manage a public relations disaster or get noticed in a crowded marketplace, Rock-It Promotions can go the job.